Dave Kistel is working hard to stay ahead of healthcare realities as America’s population ages. 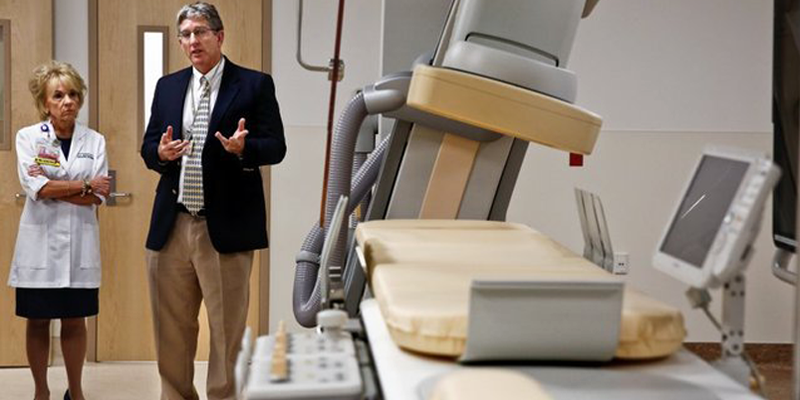 Innovating in a particularly challenging environment, Dave Kistel is working hard to stay ahead of healthcare realities as America’s population ages. With a presentation titled “Imagining the Future – Hospitals Without Beds,” Kistel, VP of Facilities & Support Services with South Florida-based Lee Memorial Health System, will sharing insights at the 2016 Health Facilities Innovation Forum on the future of healthcare, urgent care centers, and the concept of bedless hospitals driven by incentives to offer services in lower cost settings that emphasize value-based programs. Florida’s challenge to innovate is particularly acute. In 15 years the ratio of workers to retirees will be just 2:1 in Florida. It also points to the direction many states will be heading over the next few decades. 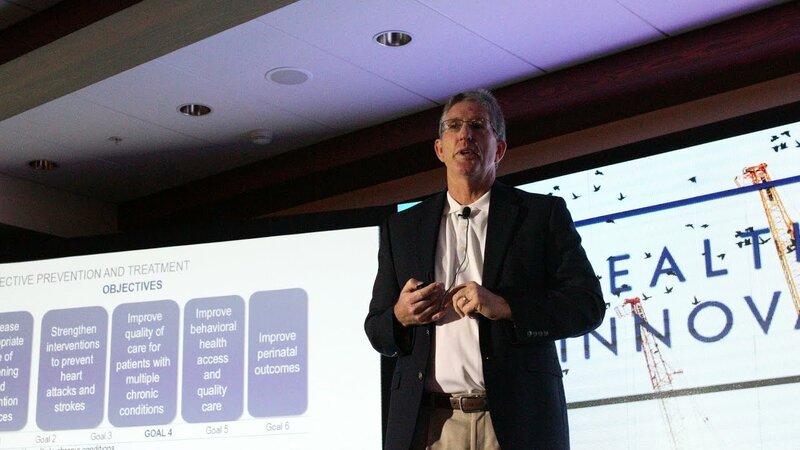 Kistel’s planned presentation will focus on ways in which Lee Memorial is addressing this crisis, with the introduction of its innovative (two-phase) Coconut Point Health Village in Bonita Springs, which will focus on a new model of outpatient care, emphasizing prevention, early intervention and a total health model. Participants at HFIF '16 – especially those coming from regions with booming senior populations – will leave with fresh insights on ways to accommodate their services to changes in Medicare, improve community health and reduce long-term hospital admissions. With its already large – and still growing – senior population, the sunshine state can serve as an object lesson because it’s feeling the pinch already. “Florida is an interesting market. The baby boomer shift is making us the number one state in the country with residents 65 and older. And that number is going to continue to grow over the next 10 years,” Kistel says. Lee Health Coconut Point will feature both hospital beds and “short-stay beds,” with an emphasis on fewer hospital admissions for orthopedic procedures like knee and hip replacements, and minimally invasive surgery procedures. The center will take a lean approach, with a focus on short waiting times, rooms designed for multiple uses and assuring that patients receive their lab results during their visits. One key aspect of Lee Health Coconut Point will be Healthy Lifestyle Clinics, with 70 exam rooms, a demo kitchen, a cardiac rehab gym, therapy spaces and an exterior education facility. Lee Memorial’s approach focuses on proactive measures like prevention, wellness and early intervention all of which lead to higher quality of life and reduced hospital admissions. “We need to intervene in people’s lives before they come to the hospital. Over the next 10 years, our payers, which are primarily Medicare, will be incentivizing health care systems all over the country to figure out ways to move from fee-based medicine to value based.,” he says. “The intent is to begin collaborating with home health and primary care physicians, and other community constituents to help people manage their healthcare. The goal will be to identify at risk patients with chronic disease and then manage risks before they have an episode and go into the hospital,” Kistel says. Lee Memorial is also developing education and training programs to reduce hospital admissions and shrink the duration of stays. “We have identified patients that are suffering from lack of basic nourishment” he says. “We’ve set up a system to go into community centers and even homes, assess the needs and provide meals to assist with this. "Food is medicine and we're proactively educating people on proper diet and how it can assist them in managing their personal health." While financial and demographic constraints are forcing change, most of the necessary innovations we’ll see in the coming years will have a positive impact on seniors, he says, making healthcare not only more affordable, but also more effective and efficient. “Right now hospitals are revenue generators and over time they will be considered an expense. This situation is going to force people to get out of what they’ve been doing. It’s going to challenge the American spirit. A lot of positive things will come out of this,” Kistel says.